Most people choose for summer camping for spending their vacation but you will be surprised to know that the winter camping can be more adventurous and exciting than the summer camp under the condition you are following the right tips for winter camping sensation. Snowy cold weather amidst of cozy wind needs real guts to go out but it’s not so difficult for energetic, young and fun-loving people who want to explore the natural beauty even in some heart wrenching cold weather. 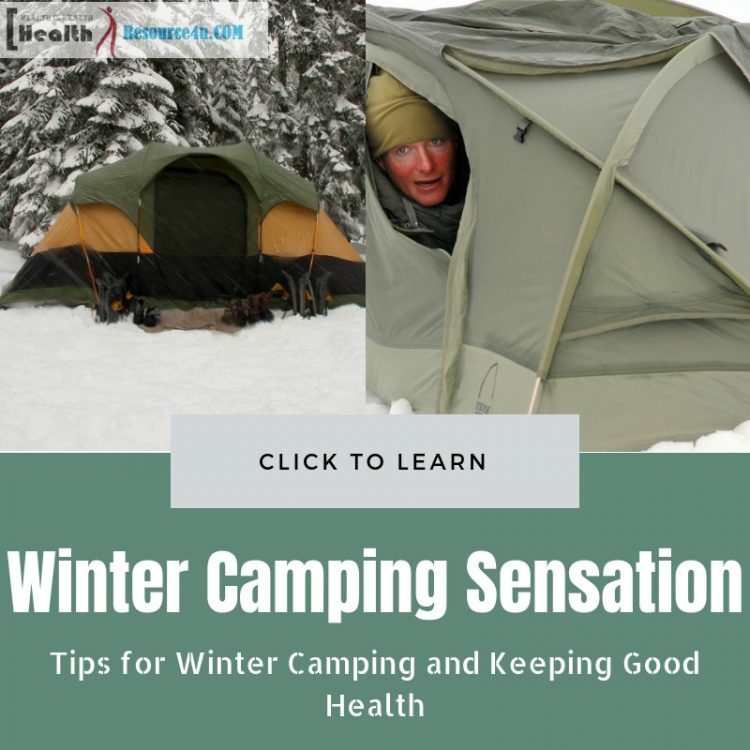 Winter season camping is not as bad or problematic as people have a general perception about it as they think that it can affect their health badly and while returning from the vacation they have to lay on the bed for getting recovered. This is not the truth as even in this cold weather you can enjoy the fullest without hampering your health by following the right tricks. As now you have planned for winter vacation amidst of snowy hills and trees so stay ready with all the necessary things so that you stay comfortable throughout your vacation without troubling to your health. Let’s began with some vital and important aspects that you must follow as these tips are based on the experience of those who have successfully enjoyed their camping vacation in cold weather. Selection of a right camping locations matters a lot for your pleasing winter vacation. As per your choice, your budget and your suitability with respect to desire, own health and other supporting factors chose a destination that you feel absolutely appropriate for you otherwise you might have to regret if everything is not perfect. Go through all the pros and cons of the destination camping place where you are planning to go. Analyze it’s all aspects only then take a decision so that you can enjoy your time fullest. Check its average temperate rate to get aware that whether it is extremely cold or have moderate weather. If you think that your body can survive in that weather then only plan for it finally. Start your packing work at least one week before your journey date towards the winter camping destination so that you won’t miss even a small or trifling thing which matters a lot when you will far away from your home. Pack all important and necessary tools and equipment that will come in use when you will gout in the snowy weather to explore the hills, roofs and ice surface. Keep all your wearable like gloves, special eyeglasses, warm clothes, boots etc. otherwise, it will be difficult for you to strand normally even for few minutes when the storm will blow under the cold, severing temperature. Some essential equipment that will make your camping comfortable and pleasing must be packed as a priority. It will keep your body warm and you will not be much affected when your body is getting enough heat to survive in severing and cold weather. Things that you must pack in your holiday bag includes hand gloves, air mattress or foam pad, stove, fuel for the stove for getting heat even if your camp is not providing enough body heating facility. Don’t dare to go out until you have completely covered your whole body by wearing appropriate dress otherwise it won’t take much time to turn you in ice and your whole vacation plan will be stuck at that moment as you may even fall in sick. Cover your hands with gloves, your neck with high neck warm clothes and scarf, warm boots for keeping your foot warm and strengthen to survive under the pressure of storm, and thermal underwear and warm big jacket to cover your upper body part. Extra layer clothing is another tricky way to keep your body warm even at a minus temperature. As per the weather of the location that you have chosen for the camping purpose pack all necessary as well as extra garments so that even for a single day you won’t miss your outing in the midst of snowy, thundering climate. Before sleeping warm up your sleeping bag so that you won’t have to suffer for some time and wait to get it warm as generally these bedding get cold due to the surrounding environment hence its really very tough to get proper sleep on such an uncomfortable bed. Though your body heat will warm up your bedding after some time still what is the need to suffer such discomfort when you can easily warm it up before your sleeping time. For warming up your sleeping bag first fill warm water in water bag and put it over the bedding so that its heat will increase the temperature of your bedding. Once it reaches to a comfortable level, simply lay on it and within a second you will get tight and deep sleep which is quite obvious too as your body is tired of whole day hunting so it needs rest for preparing it for the next day adventure. As you have chosen an unusual place for your camping which needs your strength and determination for exploring and rejoicing the vacation so you have to take every step very prudently otherwise chances of bad health concern may develop in the lack of awareness. This you can do by staying always aware of the weather forecast news before going out of your camp. Check whether any forecast of the storm or extremely low temperature is there or not as in that condition you must not go out as it can cause risk to your good health. Only when the temperature will be moderate and under your body’s survival capacity then only go for exploring the adventure otherwise you can make fun inside the camp itself by doing some fun activities with your friends in the case of unfavorable weather forecast news. Firewood is the most essential thing that you must keep and store a backup as it is a way of instant warming up your body when you returns to your camp out of the cold and snowy weather. Fire will warm up your severing body and help it to get normal. If you think that you can manage firewood in your camp location then don’t live with such misconception otherwise you may fall in big trouble. In cold weather getting enough quantity of firewood is not only difficult but very expensive as well. Also, the snowy weather covers all the trees with snow and those cold and wet woods are of no use. So while packaging your essential for the trip one important and essential thing that you definitely keep is plenty of firewood along with you. Firewood will make your journey more comfortable and full of fun by keeping your body in balanced temperature. Apart from that cooking with firewood is another fun activity that you will definitely won’t like to miss as it can make your trip more exciting and adventurous. In winter time days are shorter than the summer season and nights are too long. Your day will pass away like butterfly rolling on different beautiful flowers in the midst of adventurous sites and environment but what about the long and big nights. Stay prepare with some alternate night time fun plan so that you don’t feel bored even if not getting asleep within a minute after you enter your bed. As an alternate option, you can carry some books, laptops (for car camping) etc. Engaging yourself in some other fun plan will not let you wake up quite early in the morning or before the sunrise which is very much possible in other condition as nights are long and early time sleeping means early wake up in the morning. No one can stay longer in cold and clumsy weather if their body is not completely fit and this can only be ensured if you are taking a healthy diet that balances your body temperature and naturally keep your body warm to survive in this negative surrounding weather place. Keep some packaged food items which can be prepared within a minute so that you can easily warm up your body as and when you want. Warm soups, coffee, apple cider vinegar, hot chocolates, and hot drinks are some of the food items that you must not miss while planning for cold weather camping vacation. For making your winter’s cold weather camping or vacation as a memorable part of your life, it is very important for you to stay fit and healthy throughout your vacation period. Below are some tips for you to keep your body warm even in a cold and low temperature. One easy way for keeping your body warms all the time is by drinking plenty amount of water. Winter season air remains dry so it easily makes your body dehydrated. Even though you are not feeling thirsty then also for warming up your body temperature drink enough amount of water throughout the day and go out fearlessly. Another way to check whether your body is well hydrated or not is possible by checking the color of your urine. A well-hydrated person’s urine looks clear which is a symbol of a healthy and hydrated body. A slow blood circulation rate in any particular parts of the body may cause it difficult to get warm faster even though you have worn many warmer clothes or sitting in front of the firewood. Perform little body warm-up exercise before going out for the adventure as it will maintain a good flow of blood around your whole body. People have a misconception that wearing warm clothes of many layers can save them from cold and keep their body warm even in the snowy environment which is a half-truth. The reality is that a good blood circulation rate is vital for keeping you warm and making your warmer clothes’ ability more effective. For example when someone put on 2 -3 socks then their blood flow in foot area is stuck, likewise, binding your shoe’s lace tightly can also block the good blood circulation in foot area causing a cold in the foot that keeps you uncomfortable even though it is covered by many socks and footwear. This issue you can be handled by wearing net socks inside the thick warmer socks so that your foot skin can breathe and allow to circulate blood flow in wise condition. Also, don’t bind your footwear laces tightly. Likewise, avoid tight gloves as this can also obstruct the blood circulation in your hand resulting in your hands will don’t get warm even though you have covered it with warm gloves. Stick on the trick of three layers wearing that means your each body part will remain covered with at least three warm clothes in order to ensure warm body even when you go out in the light storm or sprinkle of snow. These three layers are divided such as base body layer, the middle layer that means clothing above the surface of base layer clothing and the last one is called the outer layer. In the base layer always wear synthetic or merino wool clothes as it will keep your body temperature warm and dry. Wear a fleece or down as your middle layer clothing as this layer clothes absorbs the heat and retain this for keeping you warm longer. In the outer layer wear a clothing which is well ventilated, wind resistant and waterproof. Use these prudent clothing hacks to stay warm and rock the snowy hills and ice surface without the fear of your health deterioration. During your winter days camping your body will require energy to stay stick in snowy and severing cold weather. This necessity of energy you can fulfill by increasing your calorie intake via foods with a comparison to normal weather condition. Carry food content with you that has high calorie value such as nuts, eggs, breads, dry fruits, candies, oats etc. as these have high-calorie value apart from that you can eat most of them in raw form or those which needs to cook are very easy to prepare which is another advantage when you are out of your home place. Friends our tips for winter camping sensation will make your winter days’ vacation awesome and one of the most memorable trips of your life. So without further delay start your pre-camping plan as per our tips.